Education reform is not a sprint. It’s not even a marathon. It’s an ultra-marathon. Reimagining a city’s school system so it delivers better outcomes for all children is fundamentally a long-term effort. Too often, communities take a quick-sprint approach and give up when their initial efforts meet resistance or failure. But effective, sustainable education reform takes patience and endurance. Since 2001, Indianapolis has pursued a strategy guided by one central idea: Teachers and school leaders do their best work when they are empowered to lead and held accountable for results. Simply put, great schools emerge when they operate under conditions of autonomy and accountability, which happens most often when schools are governed by nonprofit organizations. Today, nearly half of students within the boundaries of Indianapolis’s largest district attend schools with these conditions, in the form of charter schools or nonprofit-governed district schools called Innovation Network Schools. These students are doing significantly better academically than their peers in traditional schools. As a result, education leaders in other cities frequently ask how they can replicate Indianapolis’s transformation. The short answer is that you can’t copy and paste city-based education reform, but education leaders everywhere would benefit from thinking more like an ultra-marathoner and less like a sprinter on the starting block. Here are 10 key principles for running the ultra-marathon of city-based education reform. 1. Find the right north star. Education leaders should focus their vision for navigating education change on a north star capable of guiding a multi-decade effort. Whatever star you pick, make sure it will transcend the latest education fads and persist through the inevitable changes in your city’s education ecosystem. The Mind Trust’s north star has always been empowering education talent to lead. Through three mayoral administrations, three superintendencies, and several shifts in our state’s education laws, we have focused our work on equipping visionary educators to launch great nonprofits. We’ve remained nimble in pursuing this north star, though. We’ve intentionally cultivated several pathways for opening great schools, which helps educators avoid dead ends. This flexibility has made Indianapolis one of the best cities in the country for launching new schools that give every child a great education. 2. Stay focused on systemic reform. Ultimately, education reform must be about transforming an education system so it works better for all kids in perpetuity. Programs that help kids now — through after-school tutoring or mentoring, for example — are admirable and necessary. But they do not significantly change an education system. If systemic change is the goal, leaders must remain relentlessly focused on creating or supporting strategies that transform schools to be successful in the long term. 3. Make sure autonomy means autonomy. Districts looking to embrace the idea of school autonomy frequently do so by giving educators and principals more freedom instead of full autonomy. Early results in Indianapolis and elsewhere show that full autonomy, protected by nonprofit governance, produces the best academic results and attracts top education talent. Strong school leaders want full authority to make decisions about their staff, budget, curriculum, calendar, and culture. A cautionary note: Full autonomy is a key to long-term school success, but it works only with a strong leader who has a comprehensive plan for how to use it. 4. Safeguard school autonomy so it will last. The impact of autonomy is undermined when there is a risk that future district leadership will infringe upon it. Truly visionary superintendents protect school autonomy to ensure that it extends beyond their tenure. This is why Indianapolis’s Innovation Network Schools have contracts that guarantee autonomy within the district, and why many of them added an additional guarantee by securing independent charters. 5. Start small and focus on results. In the ultra-marathon of education reform, a slow start that yields quality results can build momentum for sustained, widespread success down the road. 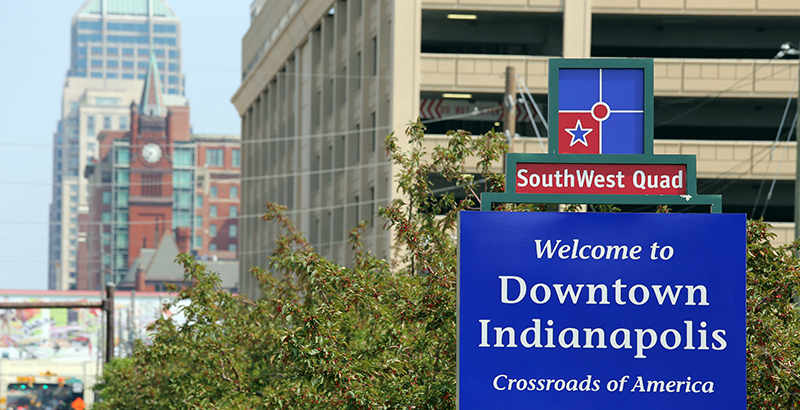 When the Indianapolis mayor’s office began authorizing charter schools in 2001, we received 31 applications in the first year and rejected all but three. Three schools hardly constitute a systemic change, but the quality of those schools sent a message about the high bar Indianapolis had set for its charter schools. Over time, this high-performing charter school sector laid the foundation for the district-charter partnerships that exist today. 6. Create a nonprofit to guide long-term reform. Most cities lack a leadership entity capable of guiding a decades-long effort to transform education. The average tenure of an urban superintendent is less than three years, and mayors, school board members, and city councilors can serve only so many terms. Education champions in these positions are essential to any reform effort, but it’s equally important to have an organization able to lead continually on education reform. Leaders in other cities should consider establishing nonprofits that can lead on pushing for big, long-term change. 7. Focus on politics, but be nonpartisan. Electing reform-minded candidates to public office is an important piece of bringing about education change, but leaders of education reform organizations must remain nonpartisan. This work is, first and foremost, about creating great schools. Any perception that you are advancing a partisan agenda will sabotage the long-term prospects for meaningful change. If you aren’t taking heat from partisans on both sides, reflect on whether you’re being nonpartisan enough. 8. Partner with empowered communities. The ultra-marathon of education reform will never succeed if leaders do not engage and empower the communities most affected by education change. My biggest mistake at The Mind Trust was waiting too long to meaningfully establish an open and ongoing dialogue with these critical stakeholders. When we started to meaningfully engage with community leaders in 2013, it paved the way for launching Innovation Network Schools in partnership with the mayor’s office and Indianapolis Public Schools. Without community engagement, this five-year-old partnership would not have been possible or sustainable. 9. Be open to partnership. Long-haul efforts require heightened collaboration. In most cities, systemic education change pits educators from charter schools against those in traditional public schools. The longer these two sides battle, the longer it will take for every child to have access to a great school. In Indianapolis, we’ve remained open to partnership with district leaders and found that high-performing traditional educators love school autonomy as much as any charter school leader. In fact, over the past two years, the staff and leadership of four high-performing district schools have chosen to become fully autonomous Innovation Network Schools. Under complete autonomy and nonprofit governance, these schools have made promising academic gains and their leaders have become important ambassadors to other district educators. 10. Remember why you work in education. Working to change entrenched systems is hard. Even when schools are improving, critics will seek to protect the status quo through misinformation and falsehoods. Ignore these and instead remember why you choose to work in education. If we can ensure that every child has access to a great school, we open the door to a new realm of opportunity not just for our children, but for our country. David Harris, former director of charter schools for Indianapolis Mayor Bart Peterson, is the founder and former CEO of The Mind Trust, an education nonprofit focused on transforming K-12 education in Indianapolis. Harris, former director of charter schools for Indianapolis Mayor Bart Peterson, is founder and former CEO of The Mind Trust, an education reform nonprofit focused on transforming K-12 education in Indianapolis.